When something terrible happens, our natural first instinct is often to ask why. For Mason Wells—survivor of not one, but three horrific acts of terror—his experiences sent him on a journey. A journey of hope, healing, forgiveness and ultimately, a true test of faith. 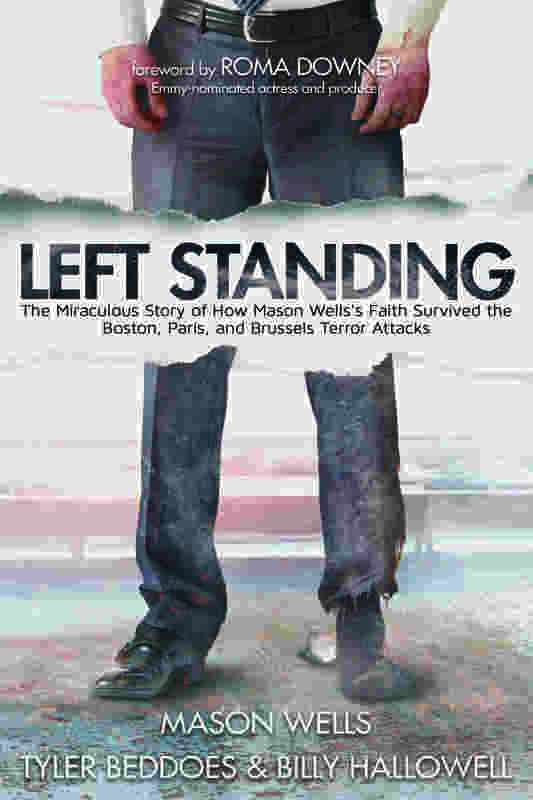 Wells’ new book, “Left Standing”—now available for purchase online and at multiple book retailers—tells the story of his journey around the world from Boston, Paris and finally, Brussels—cities that all suffered acts of terror during the time of his stay. This book will force you to reevaluate the way you experience your own struggles and take you along for the ride as Wells discovers the power of perseverance and faith. Wells’ journey began with a trip to Boston in 2013 to watch his mother participate in the Boston Marathon. Shortly after his mother passed the finish line, the first of the bombs exploded, turning what was a happy occasion into utter panic and terror within seconds. Wells and his family left the scene unharmed despite the devastation surrounding them. Wells shows us just what can happen when we face our own struggles and tragedies with an armor of faith and attitude of positivity. Years later, after not being accepted to the US Naval Academy—which previously had been Wells’ dream—he felt called to serve as a missionary. This led him to Paris in 2015 when a terrorist attacked the city, killing 130 and injuring countless more. Wells was just miles away. Finally, he encountered terror once again, but in the most intimate way thus far. On March 21, 2015, Wells was standing just feet away from a bomb that exploded in a Brussels airport. The explosion killed many, leaving him seriously injured with his life in critical condition due to multiple third-degree burns and shrapnel wounds—one of which put his leg in danger of amputation. 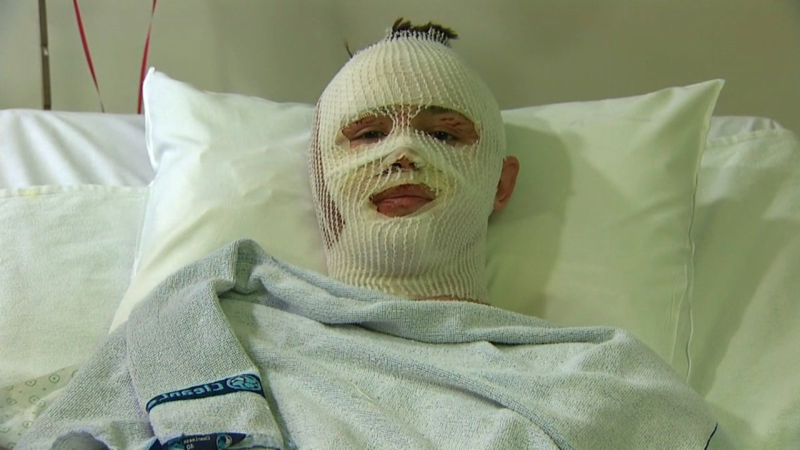 Ultimately escaping with his life, Wells was fortunate enough to keep his leg and begin intense physical therapy as he took his first steps toward recovery. The delicate, yet bold retelling of the events in “Left Standing” are sometimes difficult to read, but paint a picture of reality for those who experienced these acts of terror firsthand. In a season where natural disaster and acts of violence have forced some to go numb to the reality of their existence, “Left Standing” humanizes events that might otherwise be forced out of mind. As shocking as these stories are, this book is not just a play-by-play of the life of a man unfortunate enough to be at the wrong place at the wrong time. It’s what happened after the bombings that make “Left Standing” so impactful. It’s after the trauma, and in the midst of recovery, that Wells takes on an attitude of forgiveness, gratitude and perseverance that inspires and provokes self-reflection. One can’t help but imagine themselves in his place while reading, wondering what we would have done and how we would have felt—most importantly, how we would have chosen to recover. And that choice is something that he emphasizes: the choice to survive and the choice to forgive. There are not many that would take on the role of forgiver after coming face to face with terror. Yet Wells shows us just what can happen when we face our own struggles and tragedies with an armor of faith and attitude of positivity. He makes us believe it’s possible and he shows us how. If someone in his shoes can do it, we certainly can too. Whether big or small, we all, on an individual level, experience some kind of world-altering event or trial in our lives. And although our own suffering might be of a different nature, and it might not make national or global news, Wells’ advice is applicable to any painful experience or setback we might encounter in this life. Instead of blaming God for his suffering, he chooses to lean into his faith, allowing God to work in his heart and give him the peace, motivation and strength he needs to move forward with his life. Though his initial footsteps following Brussels were physically and emotionally painful, the spark of desire to conquer his injuries, to look for the good, to forgive those who had hurt him are evident in Wells’ story, in his words and even in-between the lines. He acknowledges that while evil, despair and suffering are guaranteed in this life, so too are faith, hope and love. 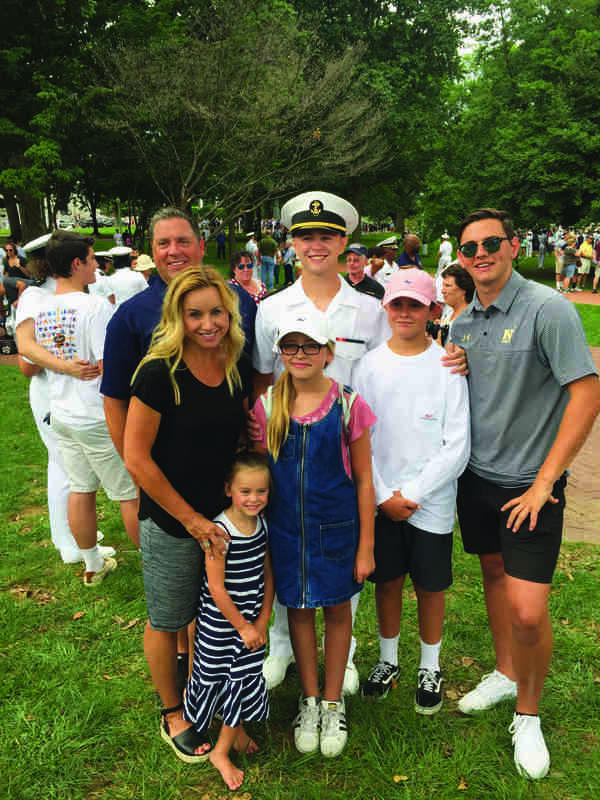 Within 10 months of the bombing in Brussels—and after undergoing intense physical therapy—Wells achieved his dream of being accepted into the US Naval Academy, class of 2021, despite his previous rejection. His dream had finally come to fruition in God’s perfect timing—a bright future, full of hope, destined for a young man who had been forced to face such darkness in his past. “Left Standing” is now available online and at your local book retailer. Visit leftstandingbook.com for details and more information.